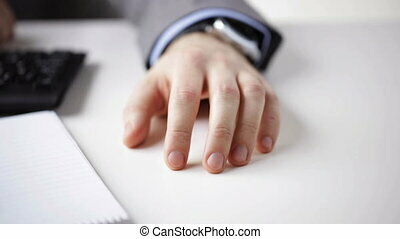 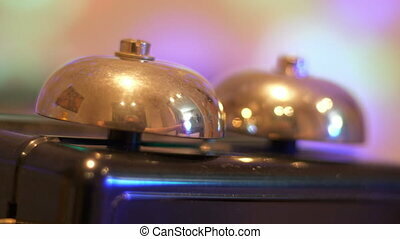 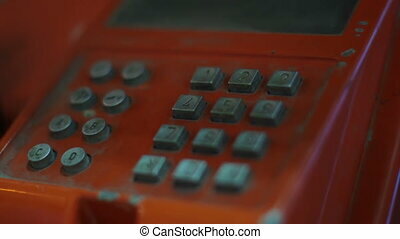 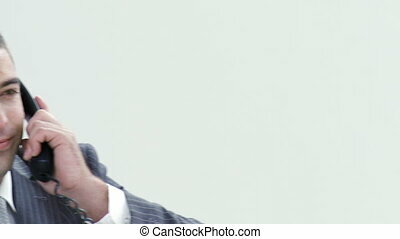 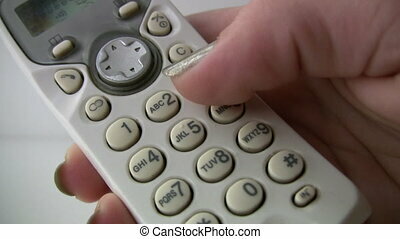 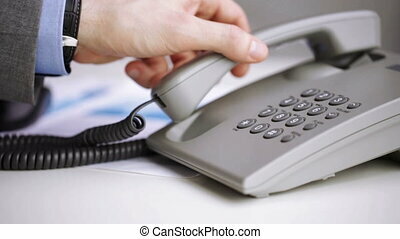 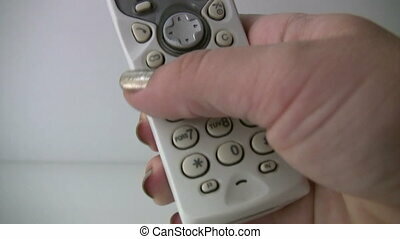 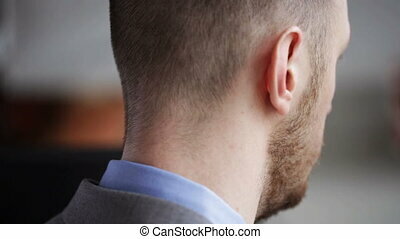 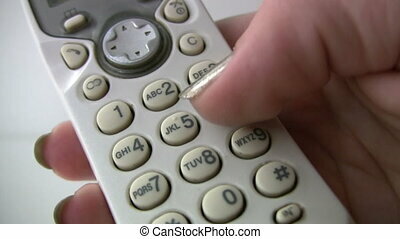 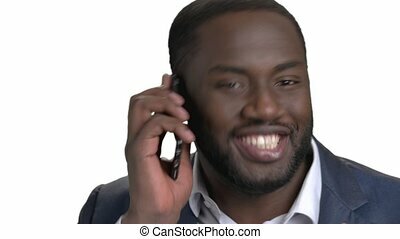 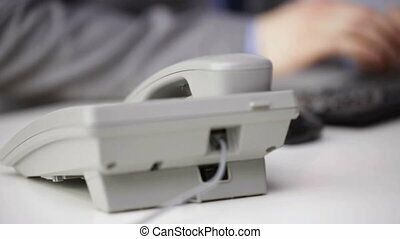 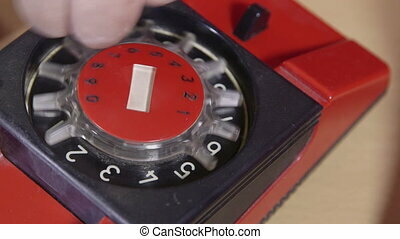 Close up of businessman dialing phone number. 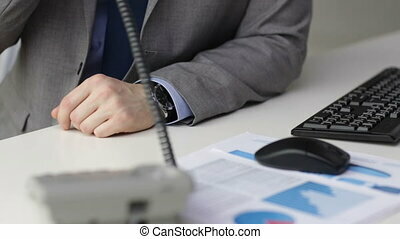 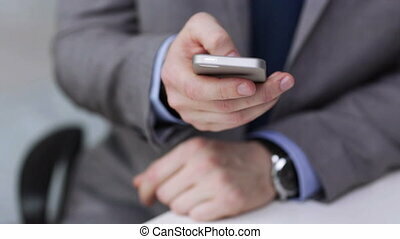 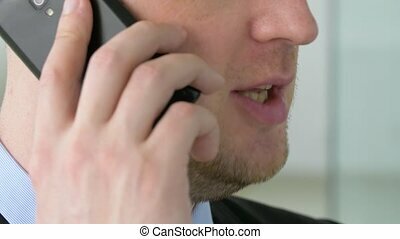 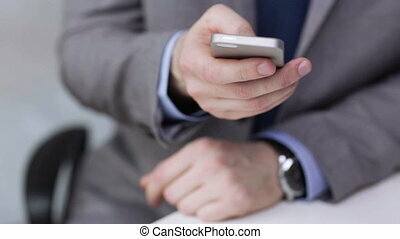 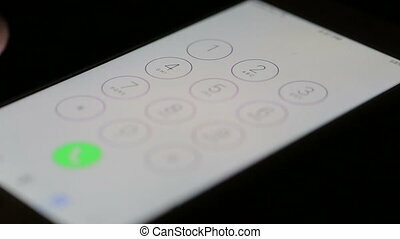 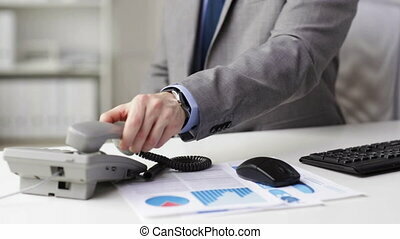 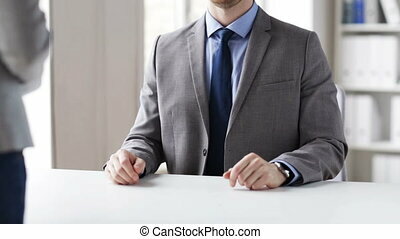 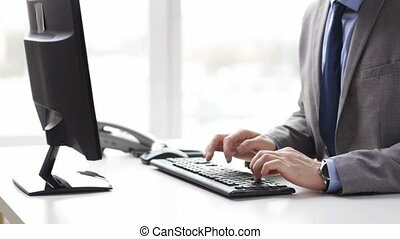 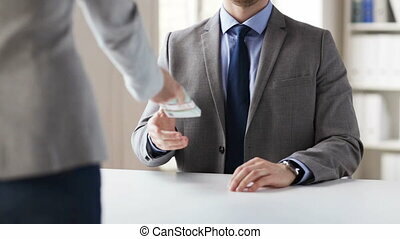 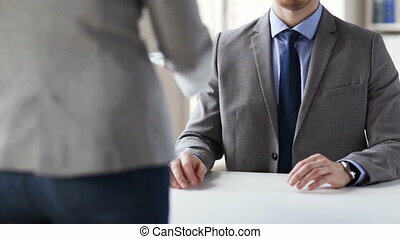 People, business, technology, communication and office work concept - close up of businessman hand dialing phone number and calling. 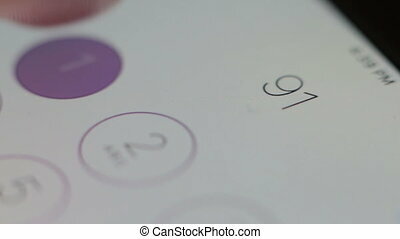 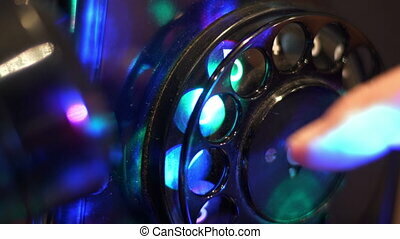 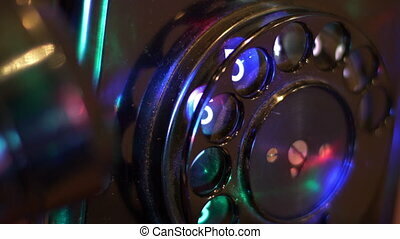 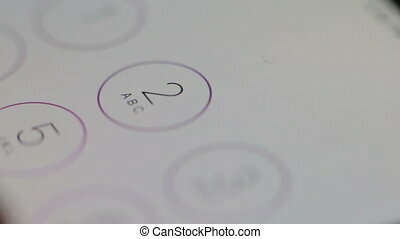 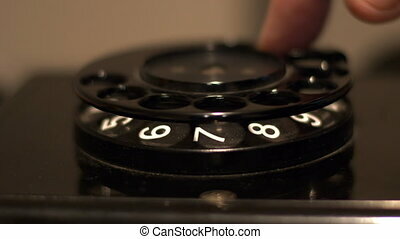 Female finger dialing number on an antique rotary phone close-up.